Located in south west Edmonton, our friendly dental team at Riverbend Family Dental Care welcomes you and your family to contact our dentist office! Book your visit with us today. Visit our convenient Edmonton location! Our dentist office is located off Whitemud Freeway on Terwillegar Drive behind the Esso gas station in the Terwillegar Heights Shopping Centre in Edmonton. Designated parking is available in front. Our building is fully wheelchair accessible. 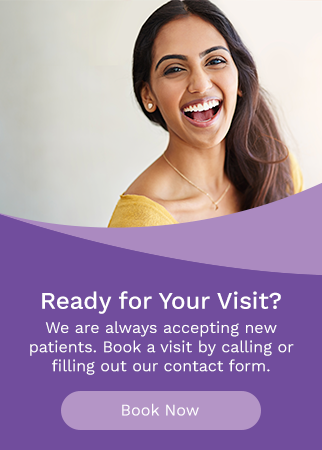 For your convenience, we offer you the option of using our online form to request an appointment time*. When requesting an appointment, please select your top two day and time choices, and someone from our staff will get in touch with you to confirm. Appointments are not final unless confirmed directly by our receptionist. *Please note that the date and time you request may not be available. We will contact you to confirm your actual appointment details. We know visiting the dentist isn't always on the top of your list of fun things to do, so we go out of our way to make your appointments with us as pleasant and stress-free as possible!